After a high-profile campaign by graduate workers at Duke University, the school just announced that it would pay them a $31,000 year stipend, meeting their demand for $15/hr full-time pay. The announcement came after a series of protests at the school and on the eve of an event the group had planned for parents’ weekend to demand a “ticket to a living wage.” It is particularly significant, in that not only does it provide a $15 an hour living wage, it expands stipend payments to cover all twelve months of the year. Previously, graduate workers had to struggle without income through the summer months. “We did it! We won!!!! Our union has been fighting for over a year to force Duke to guarantee a 12-month living stipend for all grad workers. Today, the Graduate School buckled to our pressure and agreed to pay PhD students a living wage 12 months of the year. This is an enormous victory that will put millions of dollars in the pockets of grad workers. 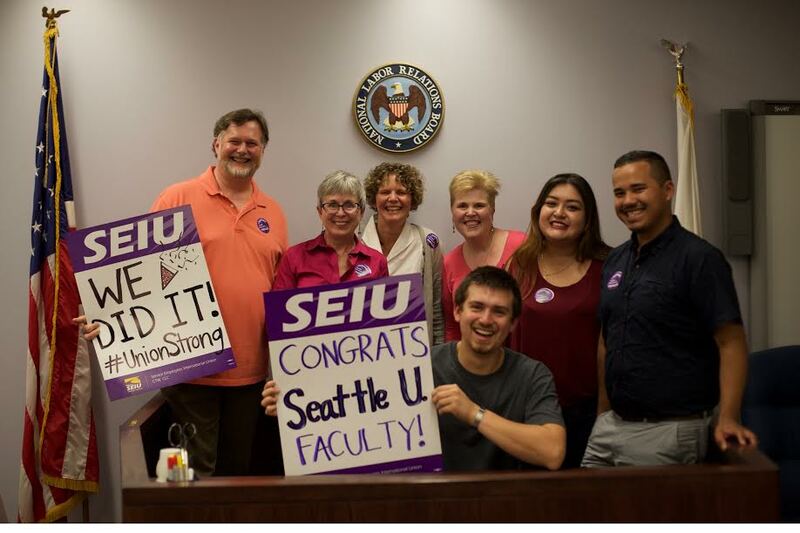 It’s a testament to the power of our union — and to unions everywhere!” SEIU Workers United Southern Region Local 27, Duke Graduate Students Union said in a statement. The Duke Graduate Student Union formed their direct join chapter with SEIU Workers United Southern Region Local 27 in 2017. Since then, they have won a number of victories through direct action including gym access and an end of continuation fees for sixth year students. Graduate workers around the country have been mobilizing to demand a $15 minimum wage for all campus employees. Last Fall, Emory University graduate workers also won a $15 and hour minimum wage.